New York City Urban Sketchers: SUNDAY: Eat. Shop. Sketch! Experience an underground food and shopping hall in a refurbished subway passage extending the length of one city block long. 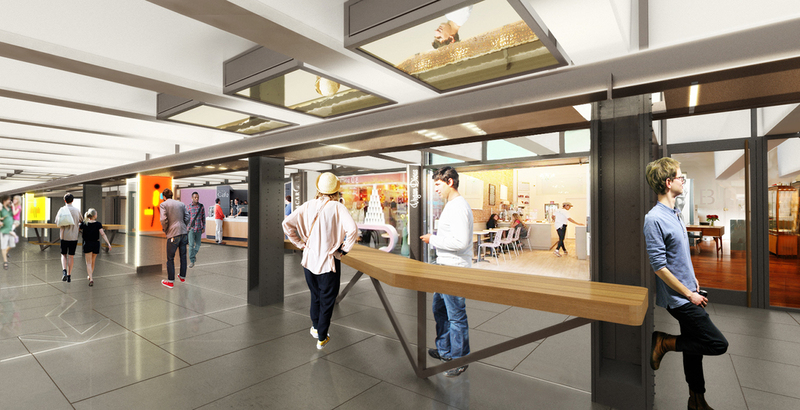 Similar to the Chelsea Market, but brighter and more modern. Highly curated vendors and no big chains were allowed. There is a counter running the length of the hallway, with counter stools. You can use these, however it is suggested to bring a stool so you do not take up seating for customer use. Joan and Susan will start somewhere around mid point of the length of the hallway. Look for two blondes on stools busy sketching. Lunch: No formal get together for lunch. Since this has a great inexpensive food court, graze as the mood strikes. Show and Tell: We will meet at the end of the shops toward 57th St at 2:45 for a Show and Tell. 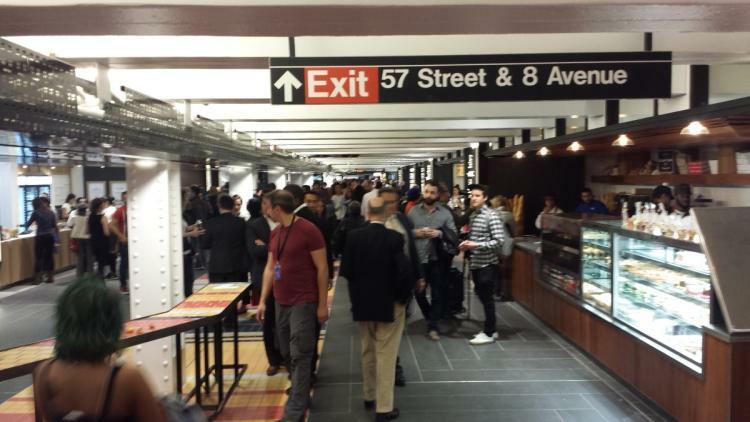 - 1000 S 8th Ave There is no need to swipe your Metro card to get in! 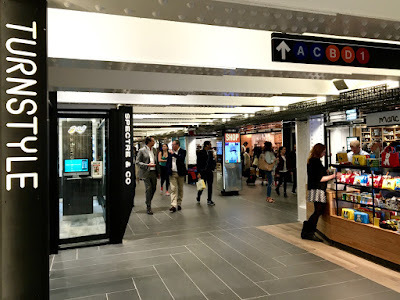 You can enter at the only orange subway entrances on the East side of 57th & 58th Streets on 8th Ave.
- Take the A, B, C, D, and #1 to Columbus Circle at 59th St.
- There are no restrooms, but they can be found street level at Starbucks, or at Time Warner. Not an Urban Sketcher event but a fun experience! 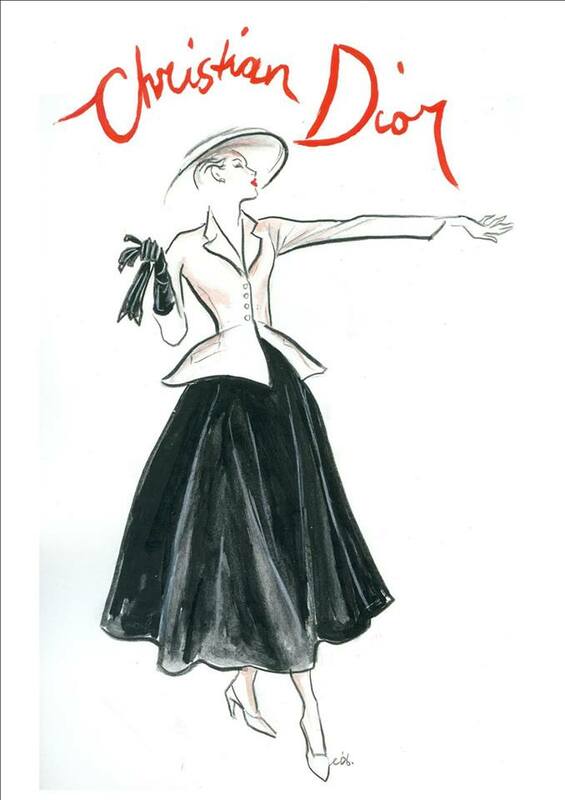 Homage will be paid to couturier Christian Dior in a new twist, modeled by Mademoiselle Quaintrelle. It is $12 in advance or $15, at the door. Flute Bar, 205 W 54th St. The doors open at 4:00. Getting a good seat is a smart strategy.